(L-R): Dr Esther Ohihoin, a Cardiologist and wife of the author; 3rd, Emeritus Professor of Obstetrics and Gynaecology, College of Medicine, University of Lagos, Osato Giwa, holding mic and 4th, Dr Gregory Ohihoin, the author at the event. Pregnant women have been urged to embrace early antenatal care and take their doctors’ advice seriously as this could ensure that close to 95% of pregnancies would be successful without compliccations. 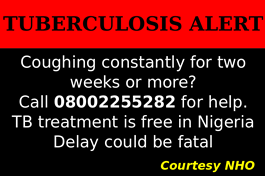 This clarion call was made on Thursday, during a formal presentation of four books authored by a Consultant Obstetrician/Gynaecologist, Dr. Gregory Ohihoin, at the Nigerian Institute of Medical Research (NIMR). The books formally presented include: Step By Step Approach to Obstetrics & Gynaecological Ultrasonography; Bullet Point Answers to Exam Questions in Obstetrics; Bullet Point Answers to Exam Questions in Gynaecology and What Mama Didn’t Tell You About Pregnancy-The Myth, The Truth and the Lie. One of the book reviewers, Dr. Oliver Ezechi, a Gynaecologist/Obstetrician, noted the impact the books would make in reducing infant and maternal mortality in the country. Commenting on What Mama Didn’t Tell You about Pregnancy-The Myth, The Truth and the Lie, Dr Ezechi said: “As a Gynaecologists/Obstetrician one of the problems we have is myths that have passed from generation to generation about pregnancy and that actually affects the outcome of pregnancy. But Dr Greg, as a practicing obstetrician has taken out time to address some of those issues. “When you open the book, the first thing it reminds you is that pregnancy is not a disease. A lot of people think that pregnancy is a disease. Pregnancy is a normal physiological process. And if women take it serious, register for antenatal care early, listen to their doctors, close to 95% of pregnancies will be successful without any complications,” he said. He therefore recommends that every woman who desires to be pregnant reads it for a guide as the book was simplified without technical jargons. The Director General of NIMR, Prof. Babatunde Salako, who applauded the author for a job well done expressed delight over the crop of people and researchers in NIMR. He noted that the books are veritable source of information for residence doctors in training because it will facilitate their knowledge and their ability to pass their exams. “That means we are going to be able to produce more obstetricians and gynaecologists, when they put the knowledge in the other book, which is about Ultrasonography, into use or even for Radiologists that will assist them with practical knowledge to make correct diagnosis for clinician doctors who will use that to take a decision on their patients thereby reducing infant/maternal mortality,” Prof Salako said. 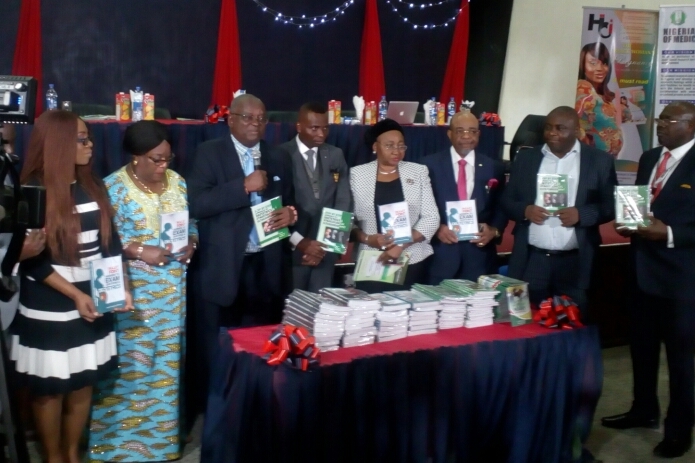 Emeritus Prof. of Obstetrics and Gynaecology, College of Medicine, University of Lagos, Prof. Osato Osagie commended the author and his supportive wife for being focused enough to produce four books, saying that the books would have a very wide application for medical practitioners. On the two books for resident doctors, he said they will make the candidates to be more focused when they are going for exams. The author, Dr Ohihoin who is also a Chief Research Fellow at NIMR, while expressing optimism described the books for resident doctors as a game changer for them to pass their exams, “because the first thing for them to do is to pass their exams to become gynaecologists so that they can contribute manpower to the care of pregnant women. “If they go through that book their understanding of obstetrics and gynaecology will improve, it will improve their success rate at their exams and this will be a new set of manpower who will become consultant obstetrician/gynaecologist who will begin to add to the workforce for reducing maternal mortality in the country. Commenting on the ’Step By Step Approach to Obstetrics & Gynaecological Ultrasonography, Dr Ohihoin said: “One of the critical skills you need in the care of pregnant woman is to have knowledge of ultrasound because it is ultrasound that you use to make an accurate diagnosis of pregnancy; Ultrasound is also the tool that will make you pick the first or early complications that you have in pregnancy. “So we want to use this ultrasound as a useful tools for the resident doctors by the time the resident doctors begins to get access to this information, they will now better understand the principals of ultrasanogrphy so complication rate from pregnant women will invariably reduce because more people will do ultrasound; more people will know how to make diagnosis of pregnancy, more people will know how to pick early complications and invariably, the outcome for mother and child will be good. Speaking on his objectives for writing the books, Dr Ohihoin, restated the need for early antenatal registration, early diagnosis of pregnancy and early antenatal registration as the key to achieving successful pregnancy. 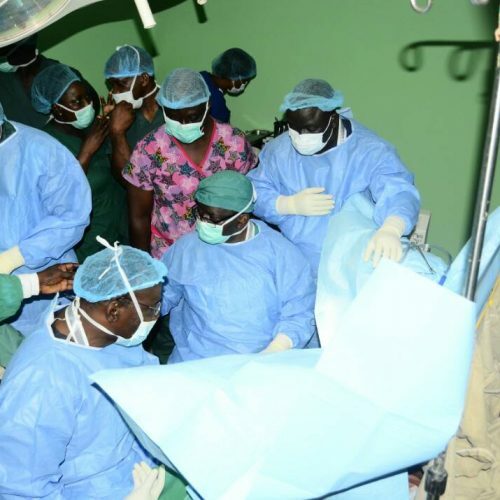 He therefore urged every pregnant woman to read the books and improve their antenatal care attendants, because that would help them to reduce the complications that they could suffer in pregnancy. “I want resident doctors, medical practitioners to access these books to improve knowledge so that they will take care of women better, the outcome is that our women will turn out better, that’s what I want to achieve,” he said. JOHANNESBURG, SOUTH AFRICA – GLOBALHealthPR, the largest independent health and science communications agency partnership worldwide, has announced its partnership with Johannesburg-based Consultancy firm, F/NE to its rapidly expanding global network.